This album contains two 180gr audiophile records cut from analogue master tapes. Another interesting characteristic of the release is the full white vinyl of both discs. Concerning the bakelite release, only 500 limited, numbered pieces will be produced. The double LP contains one bonus track not available the CD version, recorded by Attila Égerházi and Tamás Barabás. The title of the track is ‘Changing of Souls’. 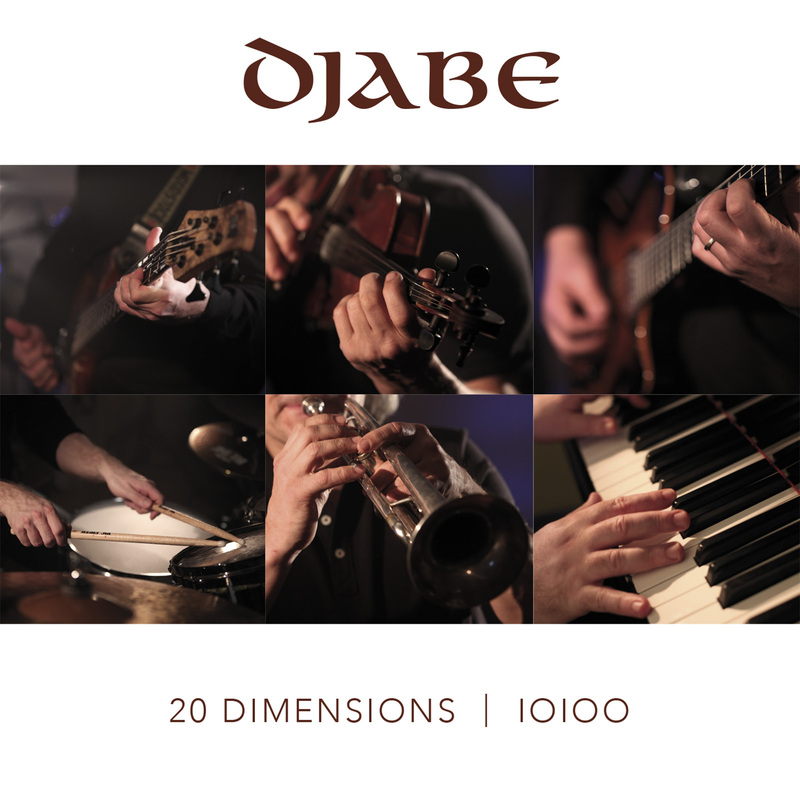 Unlike the previous album ‘Forward’ which built upon the close cooperation with the Hungarian Symphonic Orchestra Miskolc, this album puts the emphasis on Djabe’s acoustic and fusion line with occasional spicing of modern electronica. The disc features 20 pieces, or ‘dimensions’ and sports a frame-like structure. The beginning formulates the basics of dimensions, the concept of the album while the final, no. 20 track colligates with a philosophic view and the angle for continuation. Records composed by Tamás Barabás and Attila Égerházi are interconnected by 9 improvisations (Transition 1 to 9). These improvisations feature not only the work of the band members but of Malik Mansurov (tar) and Sára Kovács (didgeridoo, flute). Compositions of Tamás Barabás have the vigorous and sweeping characteristics accustomed to the artist, while those made in tandem with Attila Égerházi summon the lyric tone of the first period of Djabe history.